Are you looking to sell your home? Or improve your investment? According to several reports published recently, replacing your garage door was one of the easiest, most cost effective home improvement projects, with one of the highest rates of return. In 2011, Fox News reported that home owners who replaced their garage door with a new door could see an 85% return on investment. They also indicated that it had the potential to improve safety of the home. Additionally, if your home was built before 1993, per Federal Regulation UL 325, you might need a new garage door before you can sell. In an even more recent article by the U.S. News and World Report, published in 2014, they indicated that installing a new garage door was amongst the top five home renovations in terms of return on investment, with an 83.7% return on investment. Remodeling Magazine�s Cost vs Value report showed similar stats by indicating that installing a new garage door had an 84% return on investment. Installing a new garage door not only has a good return on investment, but it also has long term savings. A new garage door improves the insulation of your home which will in turn reduce your energy bills. Plus, a new garage door looks good. Like a fresh coat of paint on the door and a nicely landscaped lawn, a new garage door increases the curb appeal of your property. For sellers, this is a great way to increase the perceived value of your home with little up-front investment. 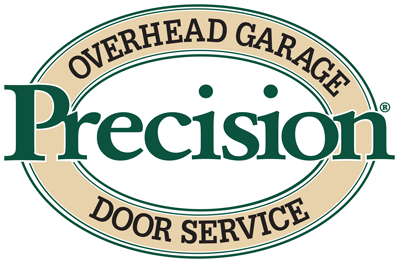 If you are ready for this cost effective home improvement, contact Precision Door Services of Salt Lake City. We can help you find the perfect door, for a great price, that will give you a high return on your investment. Call today!